Wearing Fall pieces in LA can be a rare occasion so I jump at every chance I get when the weather cools down a bit. I'm wearing Dynamite Clothing's adorable Fall Collection. My favorite is probably the Aztec reversible poncho that I paired with the leather skirt and hat also from the collection. For the second look, I went for a cleaner palette and added accents with my black boots and a blue bandana. 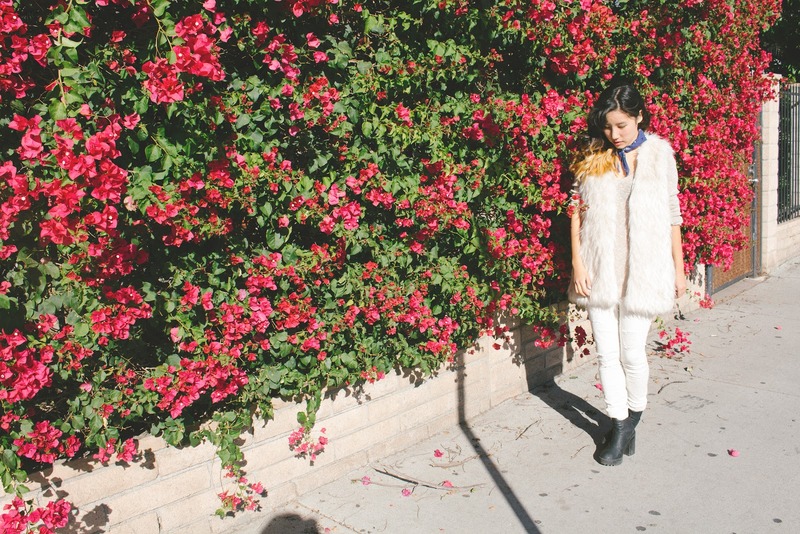 I think faux fur vests are so versatile and they add a boho luxe touch to any outfit. that poncho is way cute! <33 you girl!